If you want to ski Slovenia on a package holiday, we'll not be beaten on service or price, so call our specialists now for the best deals to Slovenia from any regional UK airport. Search below for departures from the UK to Slovenian ski resorts throughout the 2019/2020 winter season, or call our friendly experts for 2019/2020 prices, to secure an early booking deal. For for travel ideas beyond the Slovenian skiing offered here, check out deals in the other countries on the right, or better still, let us assist you in finding your perfect ski holiday in Slovenia or elsewhere, phone us now on 020 7770 6888. For lift pass and rental offers beyond the Slovenia, visit the main ski deals page. 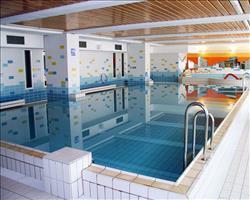 The best savings are on Slovenia holidays with a large discount, rather than cheap ski rental or lift pass offers. Use the Sort by function below, by clicking "biggest Discount" to see the top Slovenia ski bargains. Ours are the the most discount ski deals to Slovenia from all regional airports. We don't suprise you with a booking fee when you phone us to secure your Slovenia ski deal - Sno provides complete protection against supplier failure at our own expense. All ski deals in Slovenia are ATOL protected and every person who books with Sno receives 100% financial protection, paid for by us. The best and cheapest last minute ski deals to Slovenia departing this weekend, next weekend or this month. 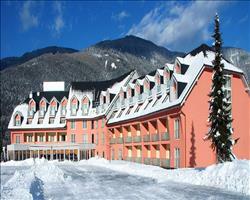 All late deals to Slovenian ski resorts are fully ATOL backed. The late skiing on this page is in Slovenia but you can compare all that's left on the main last minute ski page. To book the best late ski deals in Slovenia and worldwide call our experts on 020 7770 6888 before they're gone! There are 2 holidays to Slovenia for 2 adults, 0 child and 0 infant.